Black fen they call it round here. Black — for the peaty soil; black — for the mood of the area, for its history and for its future. I sat huddled around the wood-burning stove with Denzil. It was early March, and winter was reluctant to leave. A bone-chilling dampness hung in the air and squelched underfoot. Denzil and I were glad to be by the fire, clutching our mugs of tea, spoons sticking up like radio masts. We had done this together many times before. Denzil is one of the old-time agrarian farmers I have been visiting and photographing for ten years now. We caught up with each other’s news, our conversation punctuated with long silences as Denzil thought about what I was telling him. I explained that I had been commissioned to produce a new photo essay for a book called Fenwomen. “Fenwomen,” Denzil repeated, extending the syllables as if he were summoning a mythical goddess to rise up out of the black peat of the surrounding fields. “There’s not many of them left — real fenwomen. They’ve all gone now,” he said. From a distance, under the towering sky, Isleham appears like a mirage. It seems incongruous that a village should be located in the middle of such a flat desolate landscape. The main road to the village runs for almost six miles like an artery through the land. Occasionally an unpaved drove branches off, providing access to a house, farm buildings or fields deep in the middle of the fen. The presence of water is constant. Driving across this landscape feels like crossing a great sea. The road undulates from the ever-shifting land, tossing the car like a small boat. A complex network of dykes and drains criss-crosses the fields, the murky waters rising and falling as the fenland locks and pumping stations work to prevent flooding. And all around is an abundance of crops which fight for space with an encroaching wildness of weeds and bushes that grow thick and fast out of the fertile earth. Once a marshy swamp, this landscape would probably not exist as it does today without the pioneering work of Cornelius Vermuyden and his fellow Dutch engineers, who in 1626 began draining the fens with the support of King Charles I. Covering an area of almost 1,500 square miles in Eastern England, the fens are one of the world’s largest areas of reclaimed land. It has been more than 30 years since Mary Chamberlain interviewed the fenwomen of Isleham. Many things have changed in that time, but as I walked the village streets and the nearby fields, it was clear that Isleham’s strong sense of place is still shaped by the mysterious flatland that surrounds it. I was enchanted by the often unexpected encounters I had while photographing here. But I came to realize that it was a place I would never fully understand. A new edition of Fenwomen has just been published by Full Circle Editions, featuring photographs by Justin Partyka and a new introduction by Mary Chamberlain. This is the latest in Justin Partyka’s ongoing series on Places. See also The East Anglians and Saskatchewan. Text by Alan Thomas. Photos by Laura McPhee. In her photographs of Kolkata, Laura McPhee averts her camera from the obvious strains of rapid redevelopment; her pictures explore the complex layering of colonial, native, immigrant, and global textures. Photos by Taylor James. Text by Adelheid Fischer. Even as the number of illegal migrants has declined dramatically, the rugged terrain of the desert along the U.S./Mexico border in southern Arizona has become a death zone. Excellent photos. I thoroughly enjoyed viewing the project. 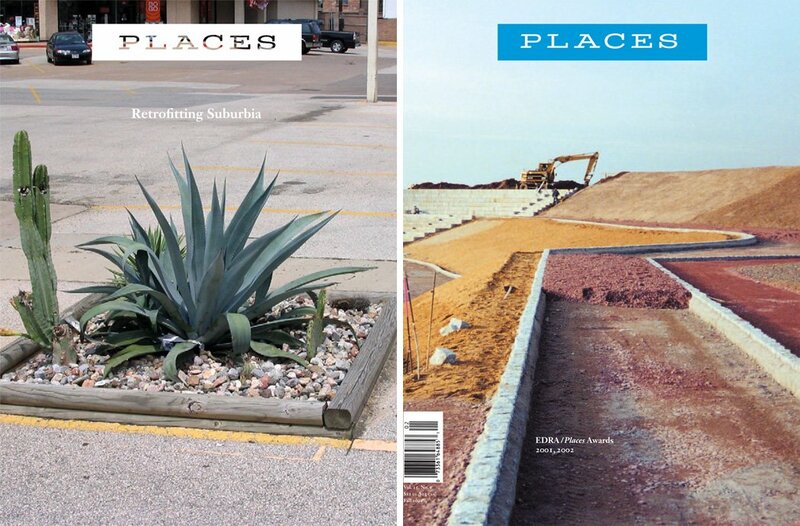 Once again the editors of Places and I are hoping to encourage a dialogue to develop within this comments section. Questions, thoughts and criticisms are all welcome and I will respond to all. It would be particularly interesting to see contributions from academics and students who are currently engaging with the idea of "place" in their research and studies. Justin Partyka is a photographer from the county of Norfolk in the United Kingdom and author of the forthcoming book Field Work.